Florence, Italy, is an overwhelmingly beautiful city. Every corner you turn and every building you enter seems to lead you to artwork from the great masters. One place you shouldn't miss when you're there, however, is the Casa Buonarroti at Via Ghibellini 70. 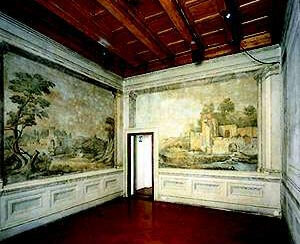 It began as a 17th century residence of the Buonarroti family. If the last name sounds familiar, that's because it belongs to the relatives of Michelangelo. "Madonna of the Stairs" is here, among other great works. The museum is open from 9:30am till 2pm on most days except Tuesdays and major holidays, which in Italy include Easter, Christmas, January 1, May 1, and August 15. There is a small admission fee. Last updated by Marie on 14 December, 2014 in Destinations.